Top quality 2.5mm thick black tennis net with vinyl sides and bottom banding. Complete with woven quad stitched headband. 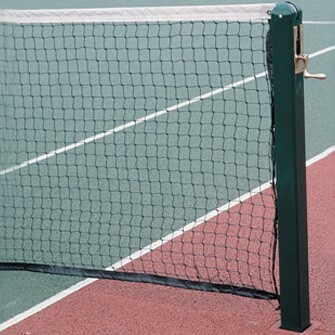 Supplied as standard with a loop at one end for standard British tennis posts. Can be supplied with a loop each end if required.